Albert Camus, the French Algerian Existentialist, challenges us to be happy as Sisyphus. That Greek King was damned by Zeus to forever roll a boulder uphill, only to have it roll back down as soon as the summit was achieved. For Camus, the human condition requires us to face the futility of Sisyphus – that we are alone in the universe without meaning or destiny, each pointlessly rolling our own boulder uphill. But Camus’s challenge to us, is to smile and be happy in the face of this futility – not sad or downcast. And the lot of Sisyphus, was mine yesterday – faced with several hundredweight of miscellaneous building rubbish to shift, in a biblical downpour. Badly bagged, paint dripping from it, from a narrow alley to an unknown refuse site without proper parking or help. Three bags in – I was Sisyphus. Drenched, cold, back stiff and a hamstring already taught. With dozens more bags and wood and board and plastic and blinds and rubble and cement and soaking dustsheets and rags and sharp stuff and awkward stuff and worst of all paint-dripping stuff. A ball ache to match the back ache. All human existence was momentarily encapsulated in sacks, rubble and timbers. 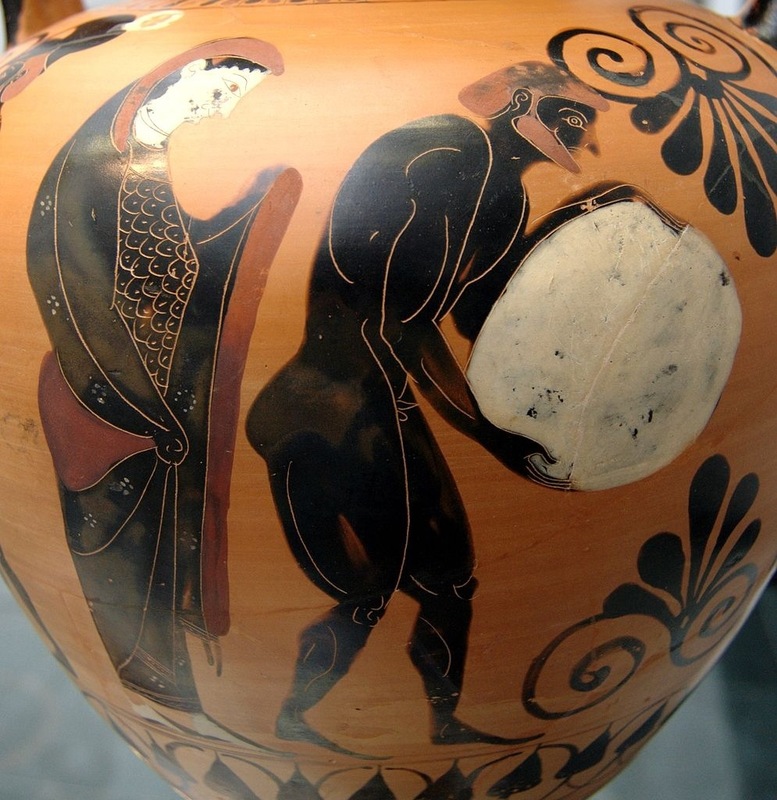 To be happy as Sisyphus, the triumph of the spirit over drudgery – the satisfaction of a thankless task well done. And it was done. Drenched, back-breaking, four car loads of dripping, spiky, heavy building debris bit the dust. And a happy Sisyphus was I. So much so, that after a couple of celebratory beers and a pepperoni pizza, I cheerfully armed myself with two chisels and cleared two staircases of carpet staples and nails. Zeus himself would have been grudgingly impressed and Camus was right. Sisyphus, happy, is the satisfaction of a thankless task well done. And that’s about all there is to life – chin up, put a smile on your face and keep rolling that boulder.